Priceline is buying restaurant reservation service OpenTable for $2.6 billion, the companies announced Friday. Priceline (PCLN), the online discount travel service, paid $103 per share in a cash transaction, a 46% premium on Thursday's closing price for the shares. Shares of OpenTable (OPEN) actually shot higher than the offer price in early trading Friday, suggesting some investors might be betting on a bidding war for OpenTable. Shares of Priceline were down about 1%. Shares of three other companies in the online local business sector -- review site Yelp (YELP), menu and delivery site GrubHub (GRUB) , coupon service Groupon (GRPN) and services evaluator site Angie's List (ANGI) were all sharply higher on the news of the OpenTable deal. 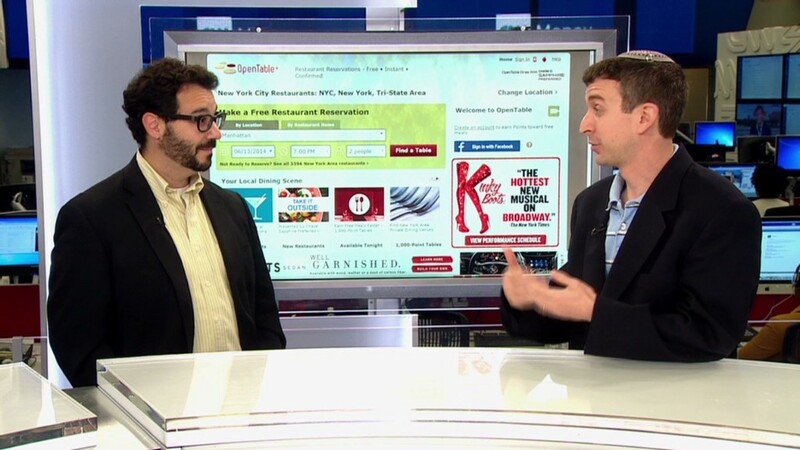 "OpenTable is a great match for The Priceline Group. They provide us with a natural extension into restaurant marketing services and a wonderful and highly-valued booking experience for our global customers," said Priceline CEO Darren Huston. OpenTable will operate as an independent business led by its current management team within The Priceline Group, according to the companies. Priceline did not give immediate details about how it will finance the purchase. The company had only $1.3 billion in cash and cash equivalents on its balance sheet as of the end of the most recent quarter.